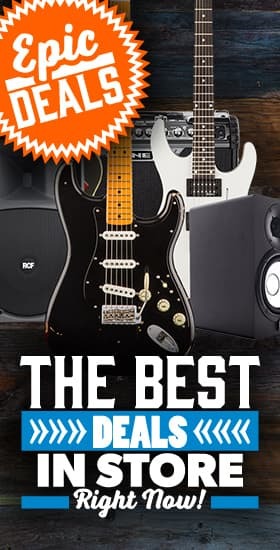 Native Instruments - Andertons Music Co. If you're looking to get into modern music production or DJ-ing, check out Native Instruments' range of best-selling software and class-leading production setups. Native Instruments has in recent years become one of the top names for the shopping lists of music producers and digital DJs. From its roots as a music software company to the development of its very successful production controllers, Native Instruments has built up a range of professional tools to suit a wide range of musicians. From game and film score composers, Hip Hop producers and DJs, the company's appeal is far-reaching. Native Instruments was founded as a music software company in 1996, and their first product “Generator” was a revolutionary modular software synthesizer that has since grown into the powerful virtual instrument now known as Reaktor. Over the years, Native Instruments built up a massive library of powerful virtual instruments, mixing tools, and innovative compositional programmes, and it was only a matter of time before they started to create matching hardware to offer users a more natural, hands-on experience for their software. In 2003, they announced their first version of Komplete, a collection of NI’s vast music software library that you could buy in one simple package. Of course, this first version came in a massive bulky box and had the price tag to match! 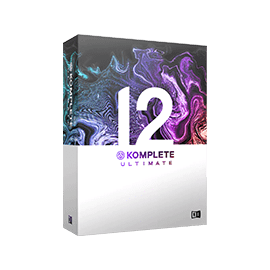 However since then, Komplete has become exceptional value for money; an unprecedented range of tools and virtual instruments that’s become a key compositional treasure trove for many producers who don’t want their sound to be bound to a specific style or genre. In 2009, NI brought out their first version of Maschine, a groove music production system that took full advantage of their amazing software catalogue. A combination of Maschine and a Komplete software library provides a pretty formidable compositional setup. Since then, they’ve Expanded their hardware significantly, adding the Komplete Kontrol Keyboards and the Maschine Jam production and performance system to their lineup. Native Instruments have also been a massive influence in the DJ world, with their Traktor hardware and software pushing the boundaries of digital mixing. Their flagship S8 system is one of the most popular setups for modern professional DJs. The Komplete Series has been around for years, and is recognised the world over. You can now get an amazing production package using the Komplete software, espececially with the Kontrol keyboards or with Machine. A relatively new series to the NI lineup. 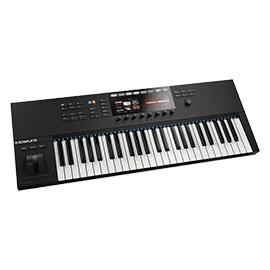 The Komplete Kontrol Keyboards are full production controllers, focusing on piano keys as the main element of composition. Featuring a navigation display and a range of tools, you can quickly cycle different sounds and start creating music without touching your computer! 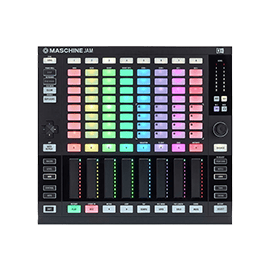 An absolute beast used by some of the top producers in the world, as well as starring in Justin Timberlake videos, the Maschine series offers production controllers that focus on beats, samples and pads to create music. From something compact like the Maschine Mikro to the powerhouse Maschine Studio, there's something to suit your production setup. 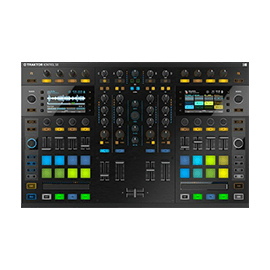 Traktor is Native Instruments' Digital DJ environment; featuring the Traktor DJ software and Traktor Kontrol mixers, controllers, decks and DVS Vinyl. The Traktor system is highly regarded and has become one of the top choices for professional DJs everywhere. Get the Jam at this new low price for a limited time only! While Stocks Last!